So this race was every bit as Rad as it sounds. 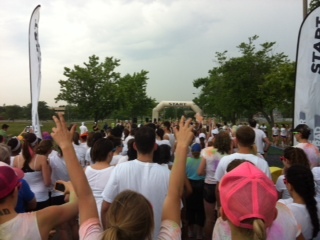 With 14, 000 other runners I ventured up to Downsview Park for the inugeral Colour Me Rad event here in Toronto. 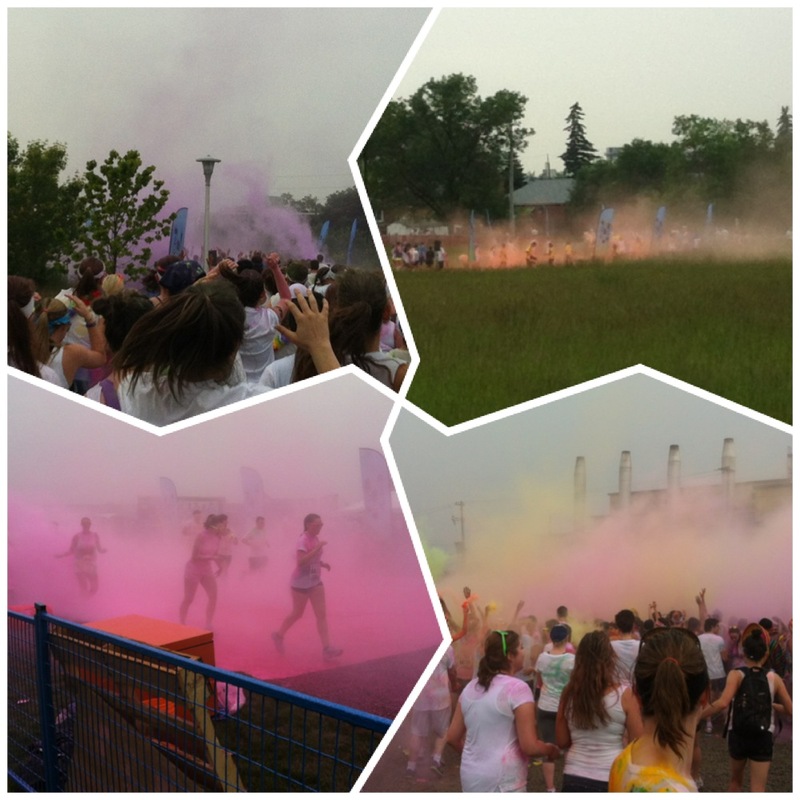 I had been aware of these colour races through participation of my friends in other areas of Canada and around the world (my cousins in Australia participated in their local event this year), and had been longing for the day that I too could have a Rad run. The day the registration opened I was online and set up my team “Nice, Colour Eh!“. We were a big crew of 13 and it was awesome having so many friends to run with on race day (including my husband who was completing his first race ever). It took only hours before the event was sold out – luckily for 7,000 others they added a second day. 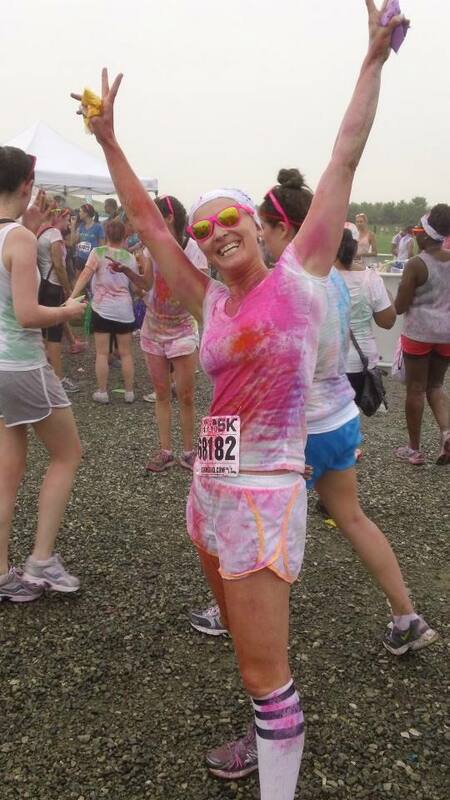 Every kilometer you run through a colour station and run through either liquid or powdered corn starch. 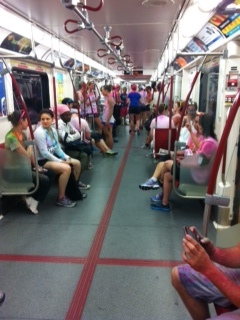 Each station is a different colour, so the goal again is not to be the fastest, but to see who could be the most colourful. What I loved about this race was that it got runners of all levels out. 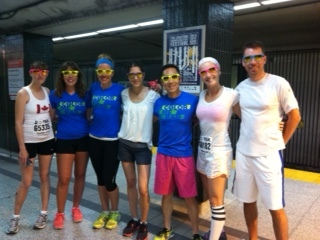 There were kids, strollers, people in costumes, those running their first race, and experienced people like my crew of marathoners – people from all levels showed up to be “colour bombed” and we were. 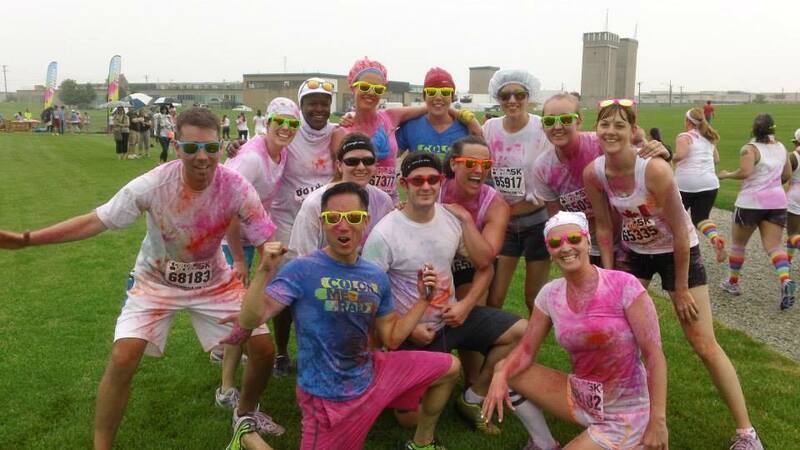 The bottom line of the race is that it’s a blast (… of colour, hee hee) for runners/walkers of all levels. 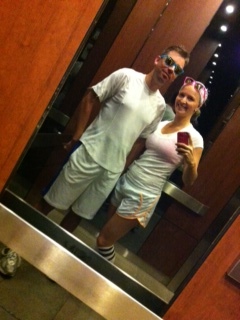 The music is pumping, the atmosphere is electric, dress in white, and great ready to laugh a lot and have a great day. I also highly suggest saving the interior of your car and do like we did and take the Subway – as you see, we weren’t the only ones. I agree Heather. 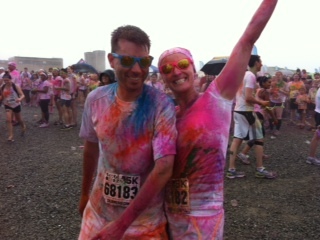 Colour Me Rad was a lot of fun. We were in Sunday’s run and we did take the car. We had bought a parking pass when registering so it wasn’t a problem and took towels to sit on to protect the car seats. We had no rain on Sunday but someone had really turned up the heat! We had a new runner in our group too and she did really well (considering she had just come off a 12 hour shift at 8am that morning.) 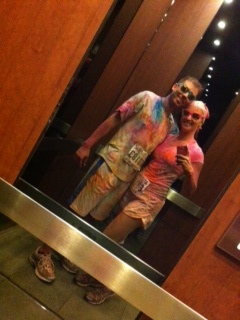 In all it was great experience and something I’d recommend to people who want to have a fun run.